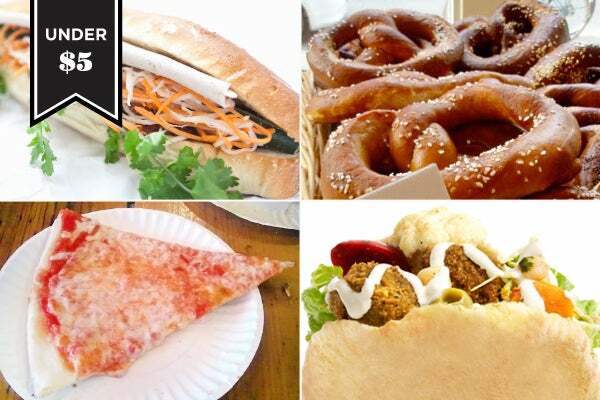 16 Amazing Cheap Eats In NYC—Starting At Just $1! 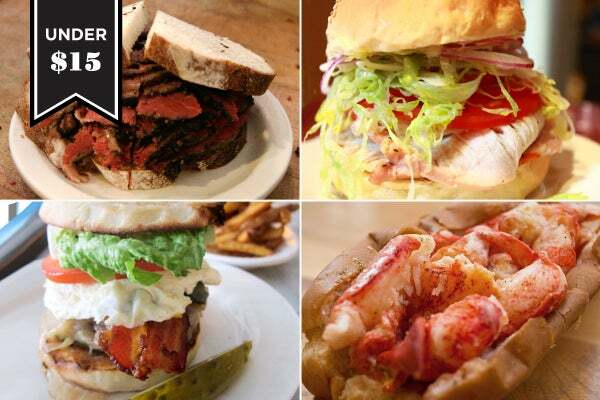 UPDATE: Since the allure of cheap eats never wears off, we're bringing back our expert list of the most delicious bites in the city — for almost no dough. This story was originally published on March 28. Job growth, schmob growth — these are still lean times for us all. But that doesn’t mean we can’t stretch our few precious dollars into a scrumptious spread. Behold our guide to a few of our favorite cheap eats in the city — some classic standbys, some new faces on the block. “Cheap,” of course, is relative to what we’re willing or able to spend. Ten bucks for a burger might seem extreme, but not when it's ground with some of the best Kobe beef in the city. So, we’ve given you prices from dirt-cheap to savvy semi-splurges, and, since you can’t exactly host a business lunch at the bodega’s deli counter, even rounded up some of the best prix fixe bargains from the city’s hottest restaurants. We promise, it's better than eating ramen noodles in your boxers. Five bucks barely buys anything anymore, especially a decent lunch, and okay, so maybe these are $5.25 and under, but it's pretty close. You could spend your beloved Lincoln on a deli buffet, or you could get sneeze-guard-free fare at these choice spots, starting at just $1. Both Serious Eats and the New York Post have called Percy's the best dollar slice in the city, and with real-deal Italians putting out pies you'd pay five times more for, we don't argue that. Percy's Pizza, 190 Bleecker Street (between Avenue of the Americas and Downing Street); no website. Pillowy bread with just the right kind of crumb, the classic combination of ham and pate — Banh Mi Saigon was one of the first shops to bring the famous sandwich to our fair city. And, we imagine, it tastes just as perfect now as it did then. 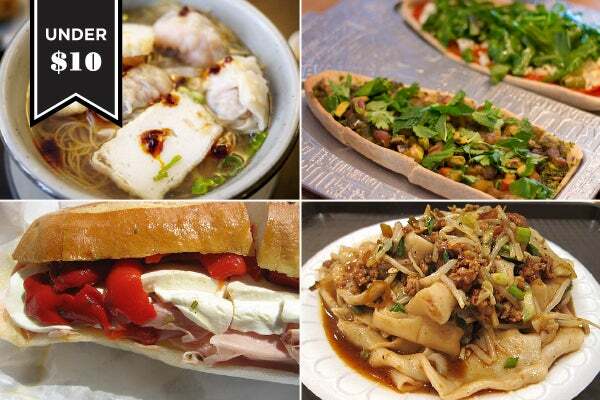 Where can you go to get a 5-star meal for under $50? Very few places, unless you’ve done your homework. Luckily, you can think of us as culinary Cliff Notes. Ciano ($20.12 for 3 courses) Mangia! That’s about the only Italian word we know besides “Miu Miu,” plenty of which will be on display here. Just try not to spill a 3-cheese raviolo or Tahitian vanilla panna cotta on your own. Ciano, 45 East 22nd Street (between 5th and Park avenues); 212-982-8422. Part of the charm of SHO is just trying to find it — but once inside it’s no speakeasy. Think of this as the spot to talk with your boss over your long-overdue promotion, and woo her with beet carpaccio and crispy branzino in the intensely chic dining room. Being close to the Union Square Greenmarket means a frequently rotating menu of the best local fare, transformed into French-flavored dishes like carrot curry soup, herbed tagliatelle, and blood orange sorbet. 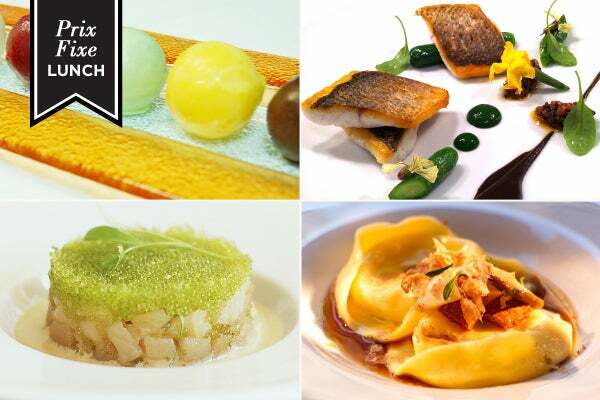 Finally, you’ll be able to say you’ve had a 3-course meal in a 3-Michelin-starred restaurant — for under fifty bucks. Even better: Part of the price of your Eric Ripert-crafted hamachi tartare and black forest cake benefits the hungry through City Harvest. Le Bernardin, 155 West 51st Street (between 6th and 7th avenues); 212-554-1515.